Coverage: Commentaries on BBC Radio 5 live and 5 live sports extra, plus text updates on the BBC Sport website and mobile app. 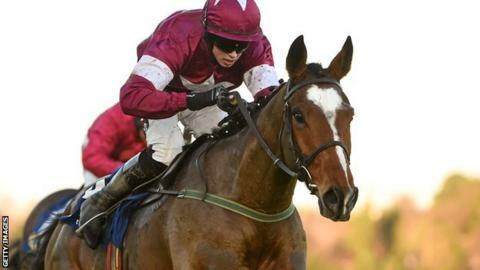 Don Poli, who was third in the 2016 Cheltenham Gold Cup, will miss this year's race on 17 March. The Gordon-Elliott trained steeplechaser was around a 16-1 chance for the showpiece contest. "Unfortunately Don Poli has picked up an injury and will not make it to this year's Festival," said Elliott in his Betfair blog. "We are all very disappointed as he was in great form and we were really looking forward to him running." Despite Don Poli's withdrawal, owners Gigginstown House Stud still have a leading contender for the Gold Cup in the Elliott-trained Outlander. Stable companion Empire Of Dirt, just ahead of Don Poli when runner-up in the Irish Gold Cup, had been targeted at the Ryanair Chase, but could be switched.